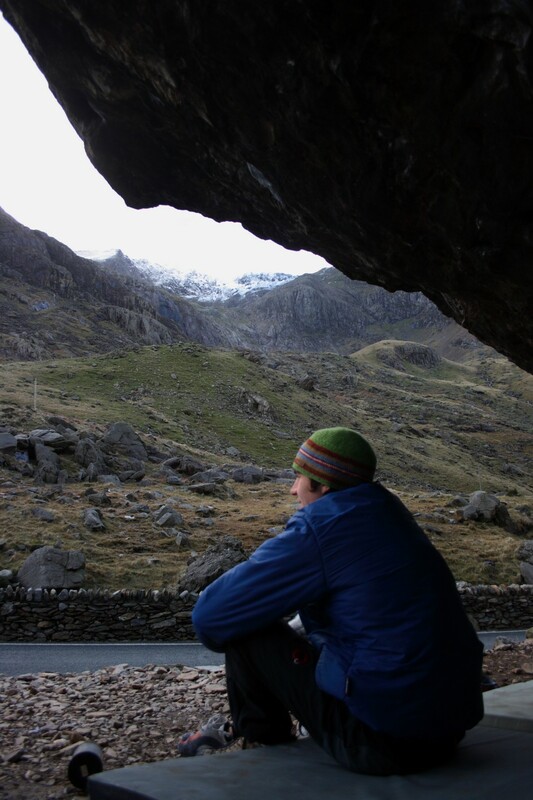 Last week I managed to do Jerry's Roof, a classic boulder problem in the Llanberis pass. 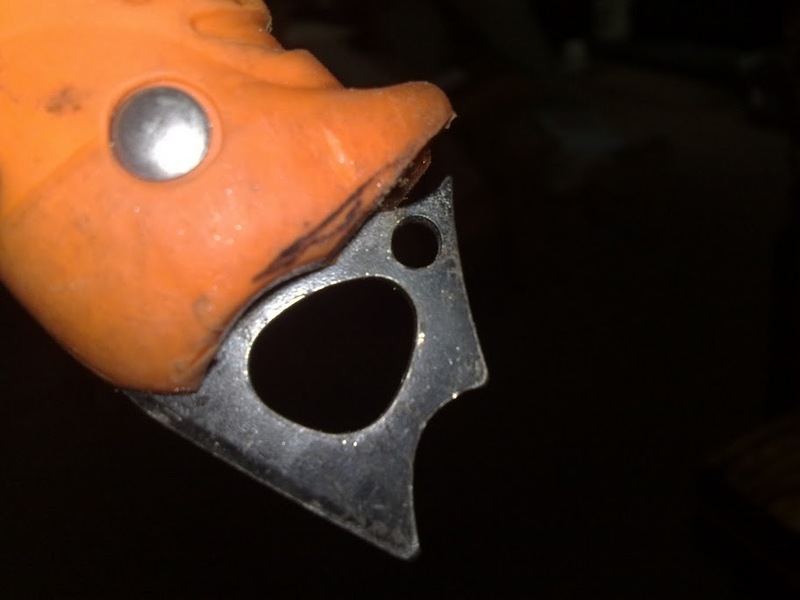 Well kind of any way, I did it from the flake start instead of the arête. This makes it easier, possibly V8 instead of V9. But anyway it was still an occasion for celebration for me since it took about 5 session with lots of training in between. I dont often siege boulder problems or routes in this way, in fact I think its the first time Iv ever done a boulder problem which took more than two sessions! Boulder problems or routes which I cant do in two sessions often feel impossibly hard and I get frustrated and give up. Jerry's roof was different, I actually enjoyed going down to 'work' it. A first for me! I'm pleased with how the mod turned out. 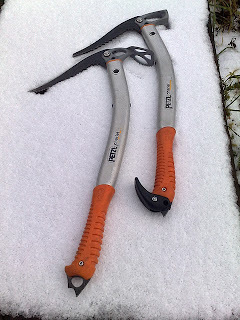 I'v just been stress testing the grip-rests by subjecting them to repeated ice axe pull-up sessions! 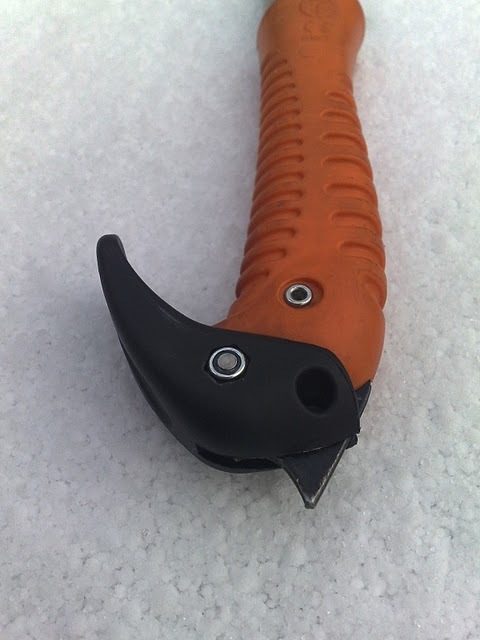 I plan to fit a Grivel Slider just above the orange grip to act as a trigger. Also the PYB indoor wall has been reset, well psyched! This is the most exciting thing to happen in Capel Curig for a while! Recently I've been working hard on converting a Nissan e-NV200 24kWh electric van into a campervan. I'm happy to report that the conversion process is nearly finished. I used to own a diesel Citroen Dispatch campervan which I converted myself many years ago. This van served me well on many trips, however, as soon as we got a Nissan LEAF electric car a couple of years ago I sold the Dispatch campervan. I couldn't justify the high cost of running a diesel van compared to an EV and driving an internal combustion vehicle just felt old and wrong. The future is certainly electric. Switching to an EV is one of the most effective ways of reducing personal CO2 emissions, see my blog post Zero Carbon Future (low carbon present). It’s well agreed that in order to avert dangerous climate change we must reach net-zero greenhouse gas emissions by the middle of this century. The next 20 years are set to be an incredibly exciting time as we work hard to switch our energy systems away from fossil fuels to a zero carbon energy system. As climbers, mountaineers and adventurers we can see first hand the damage climate change is already having on the mountains we love. Since I'm interested in electronics/electrics and I like my electronic gadgets when I converted my Citroen Dispatch van into a camper a couple of years ago I made sure I put in a large 12V auxiliary/leisure battery. The actual battery I used was not a normal leisure battery, it was actually borrowed from a friend left over from a wind turbine project, I think it's originally from a UPS system. With 110Ahr capacity it's big enough to power my four large LED light units (Four units of 8 x 3mm LED's in series) for one months continuously, change a phone for 8 days continuously or power a laptop for 36 hrs continuously (assuming a 50% discharge of the leisure battery). A leisure battery is different from a normal car battery in that it can handle 'deep-cycling', while lead acid car batteries should always be topped-up and never let to run down on a regular basis.